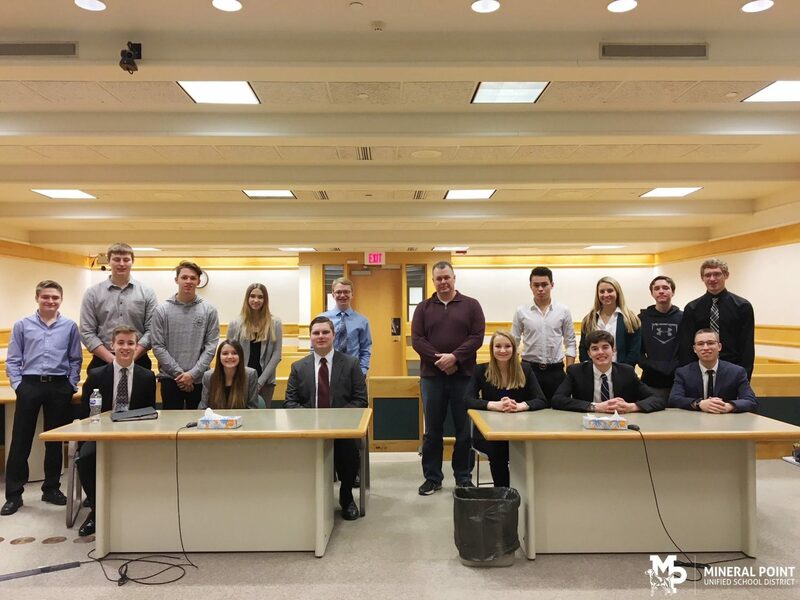 MPHS has had a Mock Trial team for 20 years, but has never had a team advance to State–until this year. The team comprised of Maddie Faull, Brady Palzkill, Hans Miller, Milo Wong, McKenna Reichling, Nick DuBois, and Matthew Berg finished runner-up at the Janesville Regional February 10. The State competition was held in Madison March 9-11.